Governor Dunleavy’s proposed budget reductions are the beginning of an annual constitutional process between the Executive and Legislative Branches of our state government. Every legislature has produced a budget that is different than the one introduced by the Governor – this year will be no different. To properly amend and improve the Governor’s budget, we need to understand it. Towards that end, I have conducted several hearings on the Governor’s budget at the Senate Finance Committee. Videos of those meeting can be found here. The Governor’s budget needs to be broken down into all the different parts and pieces and the impacts of reductions studied from each one – most of this work is conducted at the finance subcommittee level. As the Chairman of the Senate Finance Committee, I have directed the subcommittees to evaluate and scrutinize each departments’ budget. Further details of the subcommittees can be found here. Rest assured, my staff has been busy working with the municipalities, the school districts, our hospitals, and private businesses to identify every direct and indirect impact from the Governor’s proposed budget. Once the Governor’s budget has been taken apart and fully understood, the Legislature can then build its budget. This is not as easy as it sounds because we need to build a consensus among legislators to move forward. It really is a balancing act between securing 11 votes in the Senate and 21 votes in the House while remaining cognizant of the Governor’s veto authority. In my experience, the best approach is to communicate and work with the Governor during the process. May 15th is the last day of the 120-day Constitutional limit for legislative sessions. No one – the Governor, the legislators, or especially you, our constituents – wants to go past this date. There may be times where the press coverage is slow regarding the budget process and it seems nothing is getting done, but nothing can be further from the truth. So, please be patient as we all work through this process to find some consensus and move forward. If you want to contact legislators, the best way is via email. Legislator’s email addresses can be found here. Please remember that we receive many emails a day from Alaskans and you should state your opinion in the very first line of your email and keep your overall message concise. Also, please remember to let us know where in Alaska you are from. I’m grateful to have put together an extremely experienced team of staff personnel for my office. As operating budget chairman for the Senate Finance Committee, it is important to have good and experienced staff. It is also very helpful that my entire staff have very strong family roots in the district. Good staff is particularly important given the reductions in the proposed budget presented by the Governor, the revenue challenges we face, the effort to protect the Permanent Fund, and provide a reliable dividend for future generations. 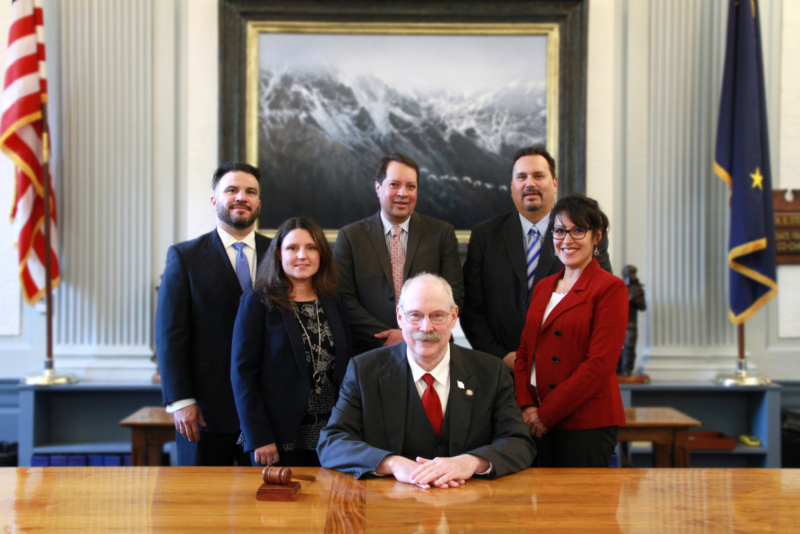 All Alaskans will feel the impacts from the budget that will pass this session – I will work, along with my staff, the ensure that the pain is distributed equally and proportionally among all regions of Alaska. Pete Ecklund: Pete is from Ketchikan and is Tsimshian. He has worked since 1994 in the Legislature. During this time, Pete has coordinated and worked closely for many years on the operating budget for co-chairmen in both the House and Senate Finance Committees. Melissa Kookesh: Melissa is from Angoon and is Athabaskan and Tlingit. Her first year in the Legislature was 1995 when she worked as a House Page and she has been with the office since 2015. She was formerly the assistant to the President of the Central Council Tlingit Haida Indian Tribes of Alaska which is one of the largest tribes in the United States. Kelly O’Sullivan: Kelly is from Ketchikan. She has fifteen years of experience in state government in accounting, finance, and budgeting. She spent the last nine years in the Office of Management and Budget as a Budget Analyst, Capital Budget Coordinator, Chief Budget Analyst. Kelly also spent time at the Department of Administration’s Division of Finance as Chief Accountant and Finance Officer. Randy Ruaro: Randy is also from Ketchikan and is part Filipino. 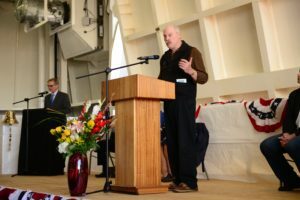 He has experience working in the legislature for several representatives from Ketchikan. Randy has also served on the staff for Governors Murkowski, Palin, and Parnell, working mainly on transportation, land, and resource development matters. David Scott: David is from Metlakatla and is also Tsimshian. He has worked twelve years in the legislature in various roles including Chief of Staff to the House Majority Leader and for Senator Donald Olson from Golovin. David carries most of my personal legislation and is my Senate Finance Committee Aide. He is a veteran and before coming to the Legislature was a rescue swimmer for the United States Navy on the U.S.S. Stetham. We look forward to working hard for the District. Please do not hesitate to contact the staff with any issues or concerns you may have regarding the district, or other issues with the state government. 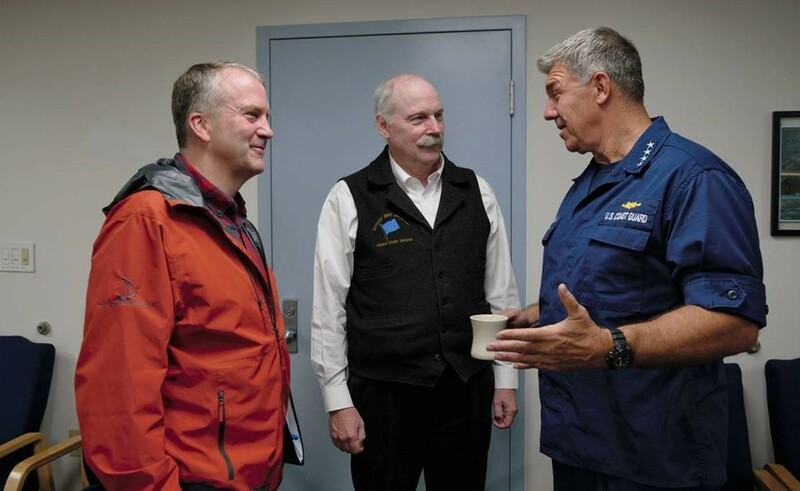 On August 18th, I had the privilege to attend meetings in Sitka with United States Senator Dan Sullivan and Commandant of the U.S. Coast Guard Admiral Karl Schultz. The meetings were part of their tour of Alaska which included visits in the district to Ketchikan, Sitka and Petersburg. Senator Sullivan is the Chairman of the subcommittee on Oceans, Atmosphere, Fisheries, and Coast Guard. The first meeting was at the Sitka Coast Guard Air Station. Commandant Schultz is an impressive leader and it was encouraging to hear his and Sen. Sullivan’s thoughts on the Coast Guard’s continued presence and commitment to Alaska, particularly in Southeast Alaska. Other topics included general maritime commerce and safety issues. A unique topic was Alaska’s national security role for America as the only state physically located in the Arctic. Commandant Schultz has stated the need for a new Arctic strategy. The second meeting was at the American Legion Hall to visit with local veterans. It was a pleasure to see our local veterans visit with Senator Sullivan, who is also a Lieutenant Colonel in the U.S. Marine Corps Reserve, and Commandant Schultz. This meeting was a great opportunity for veterans alike to be able to speak to each other about their current issues facing veterans in our country. Alaskans lead the nation in service to our country’s military, and has more veterans per capita at 13.1% than any other state (nearly double the nationwide rate of 6.6%.). I look forward to continuing the great working relationship I have with United States Senator Dan Sullivan and to working with the new Commandant of the U.S. Coast Guard Admiral Karl Schultz. 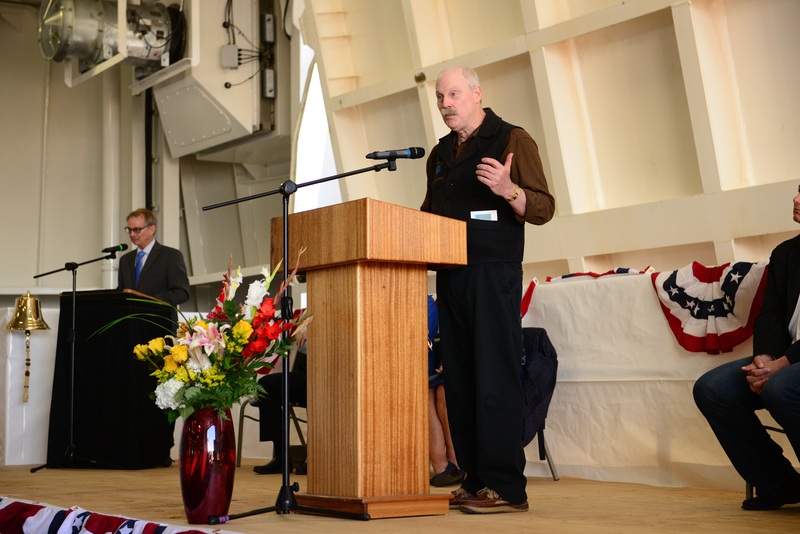 On Saturday, August 11, 2018, it was a historic day for Alaska as Alaskans from near and far assembled at the Ketchikan Vigor Alaska Shipyard to celebrate the christening of the first Alaska Marine Highway System (AMHS) vessel built in Alaska. Our First Lady Donna Walker formally christened the M/V Tazlina in accordance to and in recognition of our maritime traditions and customs. It was a powerful moment that simultaneously recognized the essential role AMHS plays for the whole state and acknowledged the craftmanship, dedication, and professionalism of the welders, electricians, painters, laborers, and project managers responsible for her construction. The M/V Tazlina is a beautiful, stout, well-built skookum vessel. I look forward to her joining the fleet and wish fair winds and following seas for all who sail on her. On July 4, 2018 the Benevolent and Protective Order of Elks (The Elks) will be celebrating their 150th anniversary in San Antonio, Texas. In addition to the celebration the Elks honored and installed Petersburg resident Michael Luhr as the Grand Exalted Ruler of the Benevolent and Protective Order of Elks of the United States of America. This is the highest honor you can receive as a member of the Elks and it is the first time a member of the state of Alaska has received such an honor. Alaskans have cause to celebrate a very special honor given to one of our fellow Alaskans. As Senator of District R, I would like to congratulate Michael on being installed as the Grand Exalted Ruler of the Benevolent and Protective Order of Elks. 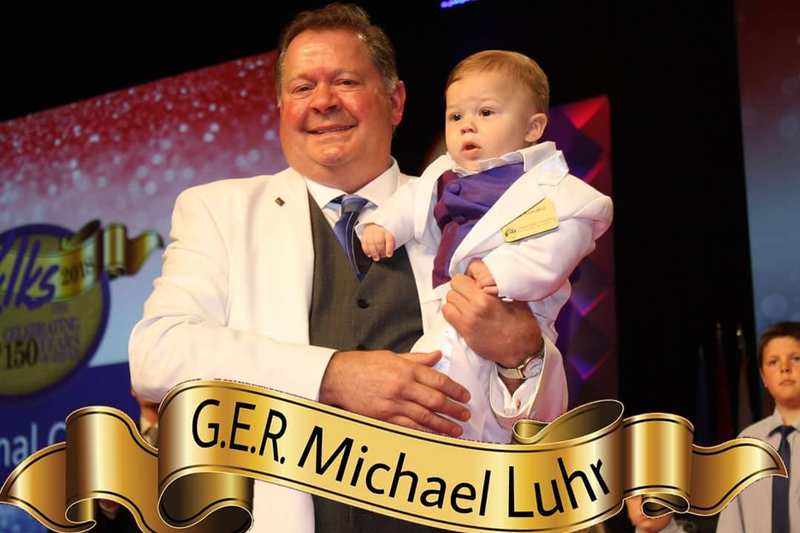 We should all be very proud of Mike’s accomplishments as he has spent over 40 years as an active member of the Elks. During this time, Mike has unselfishly spent thousands of hours of his time to volunteer for the benefit of others and his community as well as performing administrative work and responsibilities. Mike has proven himself worthy of every position he has held in the Elks (President of Petersburg Elks, President of Alaska State Elks Association, etc.). The Benevolent and Protective Order of Elks was established in 1868. Today, they have nearly 1 million members with over 1,800 lodges throughout the country. Alaska has over 5,600 members with 15 lodges statewide. The Elks are known nationwide for their direct involvement with charity programs as well as contributing to community needs and events. A great example of hard work and giving back to your community, state, and now nation. The Elks could not have found a better person to be their Grand Exalted Ruler. Congratulations Mike!